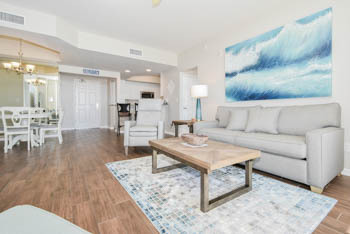 For part three of Greatest Rental Home Remodels we’re spotlighting two vacation homes at Silver Beach Towers East: East 602 and East 1404. Together they're premiere resort rentals in style, luxury, and relaxation. 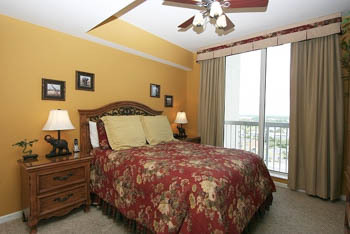 Both vacation homes have adjusted their looks over time, so guests have the best of each aspect! Before, East 602 displayed luxury in the form of dark colors, rich golds, and extravagant patterns. 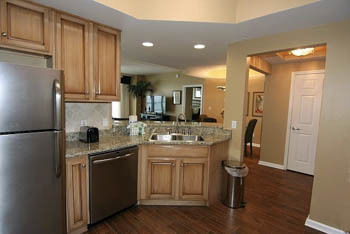 The vacation home also had the latest stainless-steel appliances for the time. Touches of tropics were seen in pineapple patterns and palm trees. Still keeping with the times, East 602 has upgraded to the latest models of stainless-steel appliances. 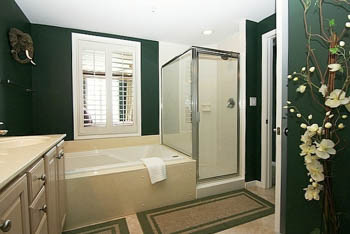 But now, the resort rental is decorated in soothing shades of cool with light seaside furnishings. East 602 still gives a nod to the tropics in its artwork and decor. See more of Silver Beach Towers East 602's transformation by clicking View Gallery at the bottom of this page. Following the same West Indies and Caribbean style, East 1404 once modeled the same deep, vivid colors of red and green. Dark wood, flowers, and other plants decorated the interior. Now, dark cabinets and jewel-tone walls are all white. 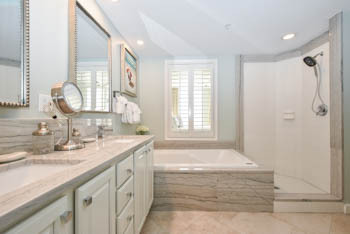 Light blue, teal, and tan make the space feel larger and lighter. The beachy decor and small house plants still lend to its everlasting theme of a coastal getaway. 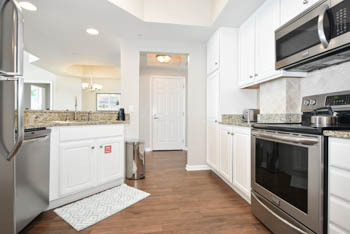 See more of Silver Beach Towers East 1404's transformation by clicking View Gallery at the bottom of this page. 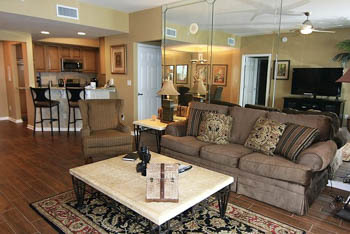 Since their renovations, Silver Beach Towers East 602 and East 1404 raise the bar for resort rentals on the Gulf Coast. 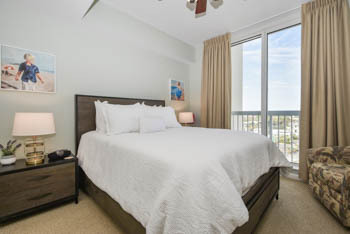 Their opulent beachside style and modern appliances make your stay in Destin delightful, calming and convenient. Our last round of rental home remodels is coming soon, so make sure to follow us on social media and subscribe to our email for updates!